With 76 million people being born between the years 1946 and 1964, a lot of attention has been given to the Baby Boomer Generation’s impact on society- its sheer size forces the issue. The Social Security Administration reports that everyday around 11,000 people within this demographic turns 65 years old and 10,000 of those are retiring. Children of Baby Boomers are now seeing their parents exit the workforce, begin retirement, and encounter the challenges that come with aging. 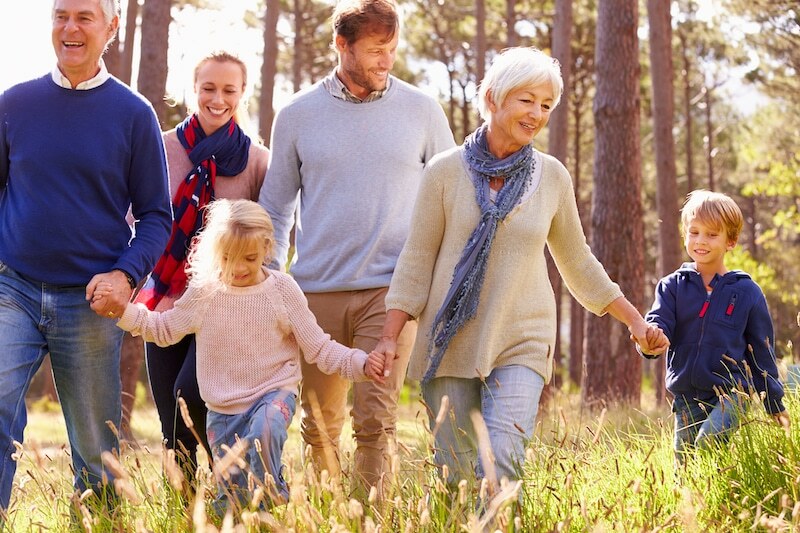 Recently, assisting aging parents has become one of the most common subjects encountered by financial advisors as children are opening up the table for discussions about estate planning and finances with their aging parents. This conversation is delicate to say the least- the overwhelming majority of people do not enjoy talking about death, money or incapacitation. However, by having these difficult conversations with aging parents and focusing on important issues to them, you can help them immensely as well as alleviate the administrative, emotional, and financial burdens of caring for them. At the very least, parents should have an up-to-date will, power of attorney, and healthcare directive. Having these documents in place is one thing, knowing where your parents keep these documents is equally important. Children should have copies of these documents for themselves and the healthcare related documents should also be provided to the parent’s physician. If your parents plan to pass property and assets to family members or other beneficiaries, a Will can suffice. However, a Will does not avoid probate. Probate is the legal process of distributing property after a person dies. This process can be tedious, time-consuming and expensive. There are alternatives to using a will to pass assets- a trust is another option. Having a living trust helps to designate how property and assets will be distributed without having to go to probate court. If a living trust fits your parent’s situation, work with them to set one up with an estate planning attorney while they are healthy and coherent. While more expensive than a Will, living trusts allow your parents to be smart in their tax and estate planning, ultimately protecting their wealth. It is best to consult with an estate planning attorney for this process. All Star Financial can help direct you to an appropriate planner. A research study conducted by Fidelity Investments, concluded that a 65-year old couple retiring in 2016 will need an estimated $260,000 to cover their health care expenditures in retirement. This number is also a 6% increase from the previous year’s estimate of $245,000. These figures apply to retirees with traditional Medicare coverage and serves as an estimate of the expenses associated with Medicare premiums, co-payments and deductibles, and prescription drug out-of-pocket expenses. As the numbers suggest, a substantial amount of health-related expenses are covered by Medicare, yet, Medicare does not pay for long-term care. Without long-term care coverage, out-of-pocket bills from nursing homes can easily reach $75,000 per year. The U.S. Department of Health and Human Services says that at present, there is nearly a 70% chance that someone age 65 or older will need some type of long-term care. Conversely, only 13% of single individuals age 65 and older actually buy long term-care insurance, according to a 2014 study by the Center for Retirement Research at Boston College. Rather than looking at this subject and saying, “How much long-term care do my parents need?”, ask how much long-term care can they can afford. At the very least, take initiative to learn about the different types of long-term care and health insurance offered, and their associated costs. An alternative to long-term care insurance is the self-insurance strategy. The concept is simple- parents can forego paying long-term care premiums to cover unknown healthcare needs, and instead use their own retirement assets to pay for their long-term care needs if the need arose. Self-insurance is not a “one-size fits all” strategy and All Star Financial has worked closely with many clients to assess whether or not self-insurance is a prudent decision given their lifestyle, assets, retirement goals and monthly retirement income needs. It is important to know where your parents would like to live if the situation arose where they had to leave their current home. Do your parents see themselves living in their current home as long as they can? Has the idea of “downsizing” been discussed? What are your parent’s wishes should they experience a decline in health and require greater assistance with their day-to-day activities? Bringing up these questions while your parents are healthy is crucial. Help them evaluate realistic choices, and analyze the associated costs. Have a spending plan in place before significant changes to your parent’s housing and living situation occur. This will make decisions much clearer should a transition be required. Having conversations with your parents about money, death and incapacitation should be an important priority. Be sure to approach the subject with sensitivity and put yourself in your parent’s situation. It will not always be an easy or natural conversation but it does show your parents that you care and have their best intentions in mind. Despite the difficult subject matter and potential for your parents to avoid talking with you altogether, these discussions will help to avoid future conflict and disorganization. All Star Financial recognizes that these topics can be uncomfortable so please contact us if you have general questions, want to discuss appropriate first steps, or have a specific situation that we can assist with. WHY INVESTORS ARE AFRAID AND MAD AS HELL!